Ladies and gentleman, we've got our final results! Congratulations to Nessy for winning the 16th Lemmings Forums Level Contest with "Butterfly Cult"! Also congratulations to Crane for reaching the 2nd place with "Run!"! - US $5.00 (PayPal would be the easiest here I think). After the old NeoLemmix Community Pack topic went into sleep mode, I figured that to properly revive this project and complete overhaul is nessesary. Most of the contributed levels are still in the old format and most of them don't have solution replays with intended solutions with them, if we still want to include these they will need to be converted by the authors! I've put a list of all contributed levels in the 2nd post, if you as an author think they live up to your quality standards and still should be included in the pack, they will have to be resubmitted (WITH REPLAY). We will start over with the gathering process otherwise, so feel free to submit levels + replays. It doesn't matter if they are also used in another pack, or if they are stand alone. Just don't totally overdo it with the pack-reusage. Let's talk music: I won't include 150 songs for 150 levels as an example, that's simply not practical. You can however send me fitting music for levels. I will open a music discussion when we finished gathering so we can all come to a conclusion on the music tracks we will use. There is room for a few totally unique tracks in the pack though for some of the flashier levels or rank finishers. - The level in the new NL format. I want to make sure that even if an author goes away the intended solution doesn't get lost and therefore the level gets forgotten. I guess that is already the case with a bunch of the older submissions. Also please try to resend levels or replays if they need changes in fututre NL versions. Check your levels, I would really appreciate that! I already took care of some collaboration levels, as I was involed in a few of them and so I took care of keeping them up-to-date over the years. Again: The 2nd post only list the old submisssions. As stated in 1. ): For levels to become part again they need to be resubmitted in the new format with a solution replay! So let's do this project right this time! Over 3 years in development and it's finally here: Lemmings United! 2. Unzip "Lemmings_United.zip" into the "levels" folder of your Neolemmix player. ../levels/Lemmings_United should exist now. If the "levels" folder does not exist create it. 3. Extract all the music files from "United_Music.zip" into the "music" folder of your NeoLemmix player. If the player does not have a "music" folder yet, create one in the same folder where the player is located. Here we start things of with a quick introduction followed by some simple puzzles. This should not be too hard for most people, but especially at the rank's end where I start to introduce some sneaky tricks you will need to start your thinking engine. More advanced tricks and more combinations of tricks await you here. You skills will start to be tested seriously now and you may even need to learn a few new tricks. Things start to get really difficult at this point. Even though there will be some breathers here and there, you must release all puzzling power that you have to make it through here. Already learned tricks might also resurface in a more unobvious environments and it is very likely that you will discover new tricks for your arsenal. I have learned quite a variety of tricks in my Lemmings history and by reaching this rank you prove to be a worthy test subject. Now I really want to see the steam come out of your head! Very complex skill combinations and unobvious behaviors will be required to survive (all while still being fair of course). Can you get through the onslaught of tough levels, or will you give up? No more prisoners! It seems like I will need to release everything in terms of tricks and skills that I've learned on you! There is no more mercy! Face the puzzle nightmares I've prepared for you and you may make it in the end! Here I gathered and roughly sorted in terms of difficulty all the additional contest, collaboration and single levels I've made during development. Enjoy this little extra! Win a prize for solving ALL ofLemmings United! I've prepared 3 prizes for the first 3 people who solve ALL of the pack with 100% backroute-free solutions. So sadly if you solved a few levels with backroutes you will still need to resolve my update until no more backroutes remain. The prizes are copies of my hand-scribbled blueprints for a part of the levels, which will be sent to you after your solutions are accepted! Now have some fun with Lemmings United and send me a few replays to get rid of the last pesky backroutes! Alright, so nominations are now closed. Before we open the voting, we first offer a period to play the levels again, to familiarize yourself with those you haven't yet played and review those you have. The list of nominated levels can be found in the nominations topic, I see no need to duplicate it here. It also contains information on where to find these levels. - Levelpack of all but 1 nominated levels. Every author with 2 or more levels in this category gets an own rank in the pack. At the end there is a mixed rank for the leftover levels. Put the pack's folder in the "levels" folder of your NeoLemmix player. This archive contains all needed special tilesets for the pack. Without them some levels won't load! Put the tileset folders in the "styles" folder and the ".wav" files in the "sound" folder of your NeoLemmix player. The custom music tacks of the nominated levels. Put the music files in the "music" folder of your NeoLemmix player. Some gathered replays from a few of the nominated levels. As this was optional, only a part of the pack is covered here. 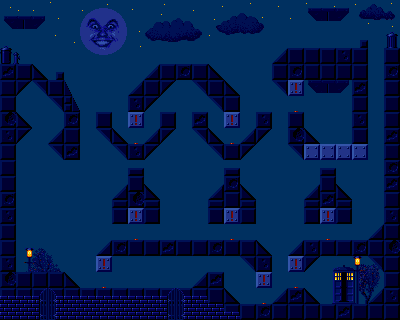 As no conversion of the level and the custom tileset was provided by the author. I know that the level should be convertable though. It can be accessed through the old contest topic the level took part in. You will need an old format NL player though. General level feedback and solution replays can be posted here in the topic if you want! Have fun playing! If there are any errors I've made in the collection, don't hesitate to inform me here! Okay, so, by now most of you know how voting works. Just as a quick guide for those who are new to the contests - the voting is broken into rounds, and each round you're allowed to vote for up to a certain number of levels. Votes are for the levels that you want to stay in the contest, not for levels you want to be removed. Just to be clear, you are allowed to vote for fewer levels than the permitted amount, and you are allowed to vote for your own levels. Generally, the number of levels that qualify for the next round will be the same as the number of levels that each user is allowed to vote for. The results so far are only visible once either the voting closes or you've already voted. Please remember that discussing the levels anywhere on the forums (except private message) is not allowed while the voting phase is in progress, even if the level in question is not in the current round, even between rounds. However, it is okay to discuss levels that have already been eliminated. This rule does not extend to anything off-site, so you can eg. continue posting Youtube videos of your playthroughs, discuss in IRC chat, just don't draw attention to them on the forums. There'll be voteoffs for each rule, to get down to one/two/three remaining levels each. After this, all qualifying levels will go into a mixed voteoff. I've decided to keep the percentages of "surviving" levels of the rule-voteoffs somewhat similar to give every rule a fair chance. Example: A rule with a 66% survival-rate and one with a 33% survival-rate for the mixed rounds doesn't seem that fair to me. There's only a prize for the 1st place winner - of course, getting close to that still means you made a great level. So... let the voting begin! Each round will be open for voting for 3 days, except the final which will be 4 days. - Put the folder of the level pack in the "levels" folder of your NeoLemmix Player. - The music must be put inside the "music" folder of the NeoLemmix player. If the folder doesn't exists, create it. - Put the tilesets folder into the styles folder of the NL player. Playing Phase will be closed on 15th of Februrary! Updates will close on 12th of Februrary! Note: This topic is for posting your comments, replays, etc for the levels. If you wish to post an update to your level, or enter a late submission, please do so in the Updates Topic instead. Please see the main LOTY2018 topic for more details on LOTY2018. This topic is merely a list of nominations. Contests / Level of the Year: 2018! It's finally here: The new NeoLemmix Manual! This is still probably filled with errors, spelling mistakes, things that I left out.......so please report everything fishy you can find! I am also open for rewritten passages, or pictures to include, if you think I missed the mark completely on some things and you want to take matters into your own hands. I will gather your feedback and then soon release an updated version. - Make the document open-source.